Extremely conservative Republican who defeated forty-two-year incumbent Jack Brooks during the Republican Revolution of 1994, largely based on the fact that Brooks had supported the federal assault weapons ban enacted earlier that year. Arriving in Texas in 1980 bankrupt and living in his station wagon, Stockman quickly gained notoriety in the House for calling the Clinton Administration's raid on the Branch Davidian compound in Waco, Texas a 'conspiracy to build support for the banning of assault weapons', as well as an incident in 1995 where he reportedly received a fax about Timothy McVeigh's bombing of the Murrah Federal Building in Oklahoma City moments before it happened. 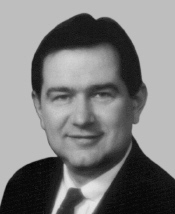 Stockman was defeated for re-election in 1996 by Nick Lampson, attempting to return to politics three times after the loss; subsequent attempts at Texas railroad commissioner in 1998 and U.S. Representative once again in 2006 (a race that, coincidentally, Lampson won in his own return to politics) were unsuccessful, though he ultimately found his way back to Congress in Texas's Republican-gerrymandered 36th Congressional district in 2012 following its creation after the 2010 Census. Stockman worked as an accountant and occasional Republican consultant between his stints in Congress.